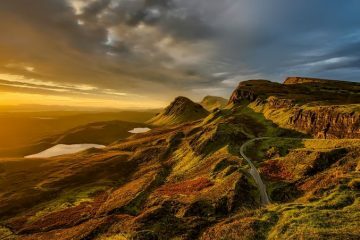 Summer is here and if you’re looking for new and exciting adventures to enjoy then look no further than the British Isles. 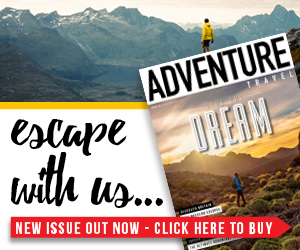 Home to a variety of breathtaking landscapes, beautiful scenery and a myriad of adventure opportunities, from hiking, trekking and cycling to surfing, canoeing, kayaking and coasteering on the UK’s many shores. 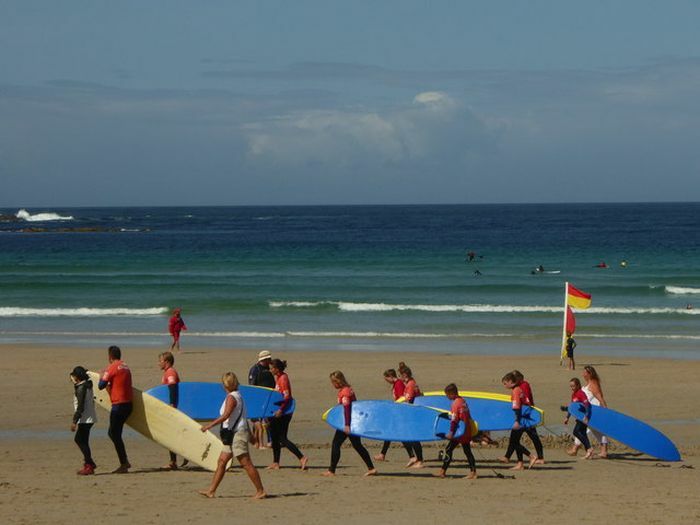 Situated in a small coastal village in Cornwall, Sennen Cove boasts a beautiful, white sandy beach, stunning scenery and crystal clear waters and, with the swell coming straight in from the Atlantic, is a great surf spot all year round. The River Arun winds through the chalk heartlands of West Sussex before reaching the Channel at Littlehampton. Along the way there are fantastic footpaths and trails of varying lengths giving stunning views across the South Downs. The River Wye is the fifth-longest river in the UK stretching some 134 miles, much of which forms part of the border between England and Wales – a great spot for canoeing suitable for all ranges of skills. 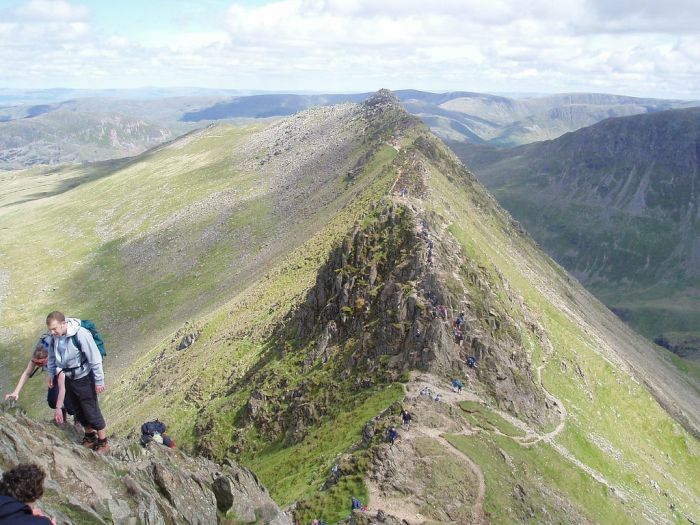 Situated in the wonderful Cumbrian landscape of the Lake District, Striding Edge is a classic beginners’ scramble, and if you’re looking to make your first foray into scrambling, then it’s the perfect place to start. Deep in the mountains of North Wales, Plas y Brenin National Mountain Centre in Snowdonia is located among some of the most beautiful and accessible peaks in the UK. 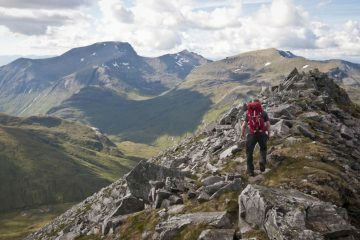 There is a range of mountain skills and outdoor training courses including walking, climbing, mountaineering, paddle sports and mountain biking. For general outdoor adventure in some of the UK’s most beautiful forests check out Go Ape adventure centres, where there are courses designed for the whole family including tree climbing, zip trekking and even forest segway! The Causeway Coast Cycle Route is a stunning 23-mile ride that runs along the North Atlantic coast from Castlerock to the Giant’s Causeway via Coleraine. The route is well sign-posted with many dedicated, cycle-friendly measures that offer traffic-free riding for much of the journey. Perfect for summer cycling. With over 62 miles of waymarked trails, Cairngorms National Park in Scotland is the perfect location for stunning summer walking and wildlife watching. 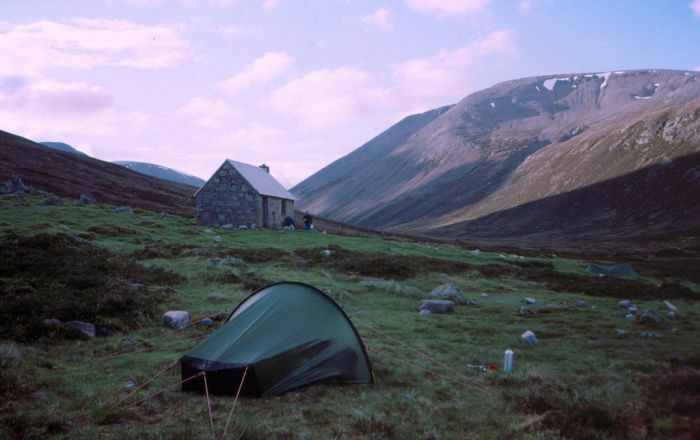 For very simple accommodation when walking in wild areas you can wild camp free of charge or stay at one of the bothies located throughout the Park. One of the oldest, most scenic and most popular long distance trails in Ireland, the Wicklow Way is approximately 80 miles long and crosses the Wicklow Mountains from Marley Park in Dublin, to Clonegal in County Carlowd. It provides breathtaking scenery including Powerscourt Waterfall, Lough Tay (the Guinness Lake) or Glendalough. The Helford River is a large estuary between the western edge of Falmouth Bay and eastern side of the Lizard peninsula. It is renowned for its scenic beauty and marine ecology and its tranquil surroundings on calm waters make it an excellent spot for kayaking! 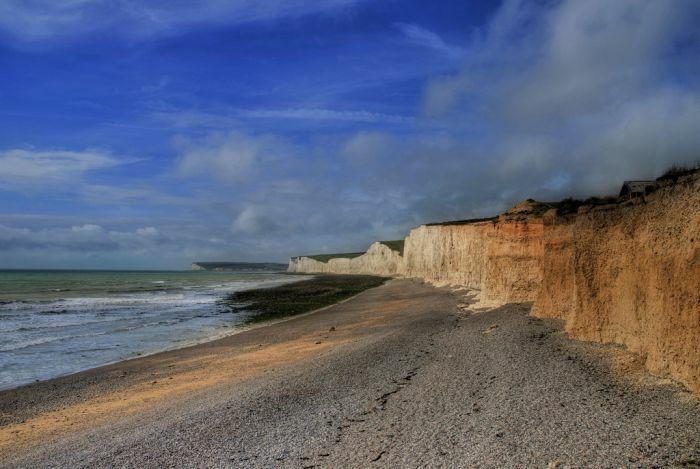 Situated in the South Downs National Park, East Sussex, the Seven Sisters Country Park offers a range of superb footpaths and trails for walkers to enjoy this beautiful landscape which boasts chalk cliffs, a meandering river valley and open chalk grassland. Situated in the stunning Lake District, Cumbria, Windermere is England’s largest natural lake and the Waterhead end represents the perfect spot for some wild swimming. 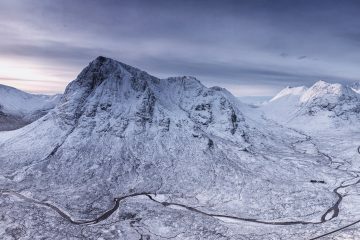 Located behind the town of Fort William, Ben Nevis (1,344m) is the highest mountain in the UK, and arguably the most popular mountain for walking and climbing. The Pony Track from Glen Nevis remains the simplest and most popular route. Watergate Bay, near Newquay, in northeast Cornwall is the perfect spot to try out some stand up paddle surfing, believed to be the oldest form of surfing, originating in Hawaii. Designated an Area of Outstanding Natural Beauty, The Llyn extends 30m into the Irish Sea from northwest Wales, southwest of Anglesey. The Llyn Coastal Path, a long distance path which allows walkers to explore both coasts of the peninsula, offers superb walking and stunning views. One of the Southeast’s most popular climbing sites, Harrison’s Rocks near Tunbridge Wells is a sandstone crag owned and protected by the British Mountaineering Council (BMC). There are approximately 200 short climbs at Harrison’s Rocks, ranging widely in difficulty and there are also good camping facilities. If you fancy some wild swimming this summer then head to the Norfolk Broads for some of the best locations for river swimming, lake swimming or even waterfalls. Devised by Alfred Wainwright, the renowned hill walking guidebook author, the Coast to Coast Walk (C2C) is a 192-mile, two-week route from St Bees Head in Cumbria to Robin Hood’s Bay on Yorkshire’s east coast. It passes through the Lake District, the Yorkshire Dales and the North York Moors and delivers varied and beautiful landscapes. If you fancy some adrenaline-filled fun then head to North Wales for some coasteering. Combining climbing, scrambling, swimming and jumping, coasteering is an amazing way to explore the beautiful sea cliffs of Anglesey and provides great adventure for the whole family too, even on wet on those wet British summer days! For a two-wheeled adventure in stunning Scottish scenery head to Fort William for some mountain biking. 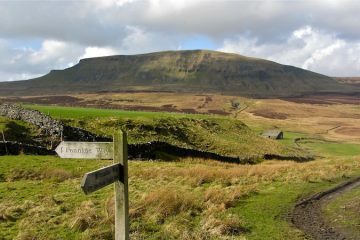 There are routes to suit all levels of rider and its a popular activity for locals and visitors all year round. If you fancy a long distance trek in picturesque surroundings then head to the Dingle Peninsula. 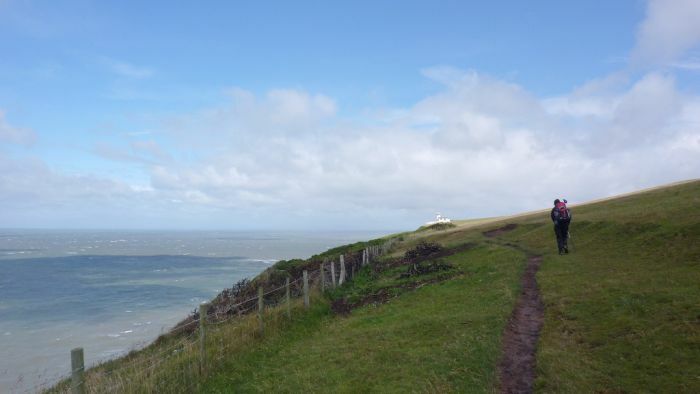 The Dingle Way Walking Trail, on the cusp of the Atlantic is an eight-day hike packed with incredible coastal views. Highlights include the naturally sculpted Clogher cliffs and the incredibly scenic Conor Pass. For some great climbing on tremendous rocks head to Roche Rock in Cornwall this summer. Roche Rock is a striking granite and tourmaline outcrop which rises for some 21m over stunning countryside surroundings. 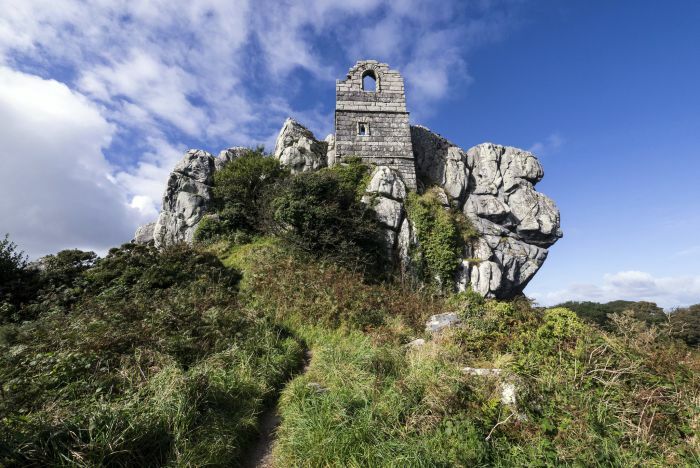 Steeped in local legend and history, Roche Rock is the site of a dramatic ruins of a 15th century chapel. With reliable wind and fantastic scenery, The Isle of Wight on the south coast of the UK is one of the best spots for paragliding adventure and regular summer sea-breezes provide smooth flying conditions that are essential for rapid and easy learning of basic paragliding skills which are taught at a number of local schools. Head to the Suffolk Coast for some summer cycling around the beautiful heathland, fields and coast of the Suffolk countryside. The Suffolk Coastal Cycling route is a circular 88-mile route, ideal for weekend tours and much of the route lies within the Suffolk Coast and Heaths Area of Outstanding Natural Beauty. The 15 mountains in Wales that have a height of 3,000 feet (914.m) or more are what’s known as the Welsh 3000s. 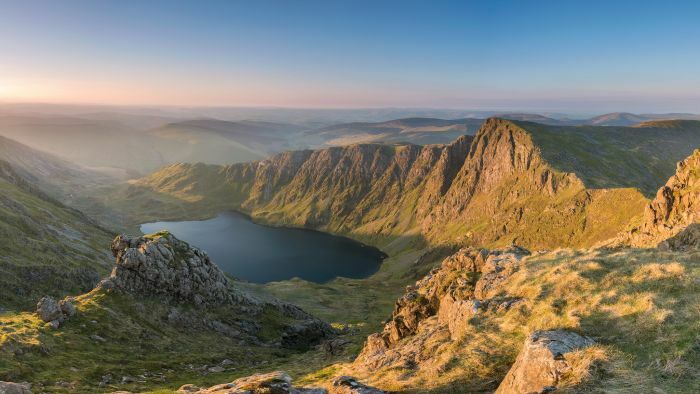 Geographically, they fall within three ranges of northern Snowdonia, Glyderau and Snowdon, all sufficiently close to make it possible to reach all 15 summits within 24 hours. A challenge thus known as the Welsh 3000s challenge. 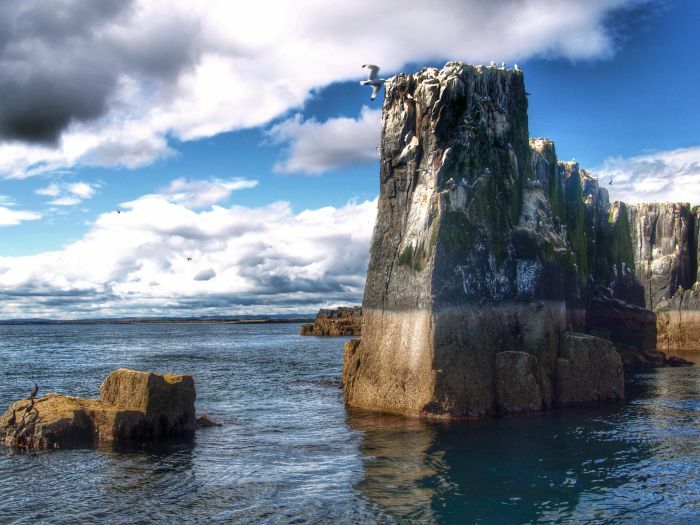 The Farne Islands off the coast of Northumberland boast beautiful scenery, cliffs, sea stacks, fast tidal streams and overfalls which make it a great spot for some very scenic sea kayaking. The 133-mile long circular Kerry Way, one of Ireland’s longest waymarked footpaths, starts and finishes in Killarney in southwest Ireland and passes through a variety of different landscapes including some of the country’s most striking and remote countryside. The stunning Forest of Dean is a great location for some summer mountain biking with a variety of trials for all ages and abilities. The Hadrian’s Wall path is 84 miles from coast to coast following the World Heritage Site of Hadrian’s Wall. This long distance footpath is steeped in history and will take you past Roman settlements and forts as well as pubs and market towns boasting great views along the way. 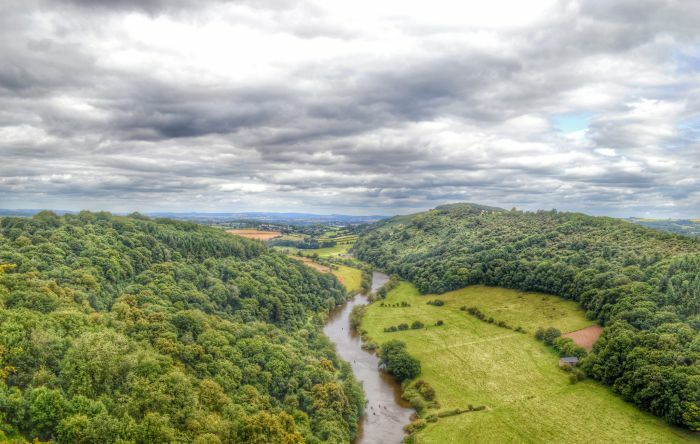 Straddling the border of England and Wales and officially designated an Area of Outstanding Natural Beauty, the Wye Valley is one of the most dramatic and scenic landscape areas in southern Britain, offering a superb mix of hill and river walking. The Summer Isles are some of the most scenic in Scotland. An archipelago of wild coastlines, natural rock arches and white sandy beaches, the islands are a great spot for sea kayaking thanks to its crystal clear waters and spectacular views of the coastal mountains. Gorge walking (also known as canyoning) is a great choice for those seeking fun, exciting and adrenaline fuelled activity this summer and the waterfall-rich Brecon Beacons offer the perfect location. For keen cyclists looking to do their first long cycle ride, London to Brighton is a great route to start with. This popular 65-mile cycle route starts from the banks of the River Thames in Greenwich and heads down to the South Coast with great views along the way. 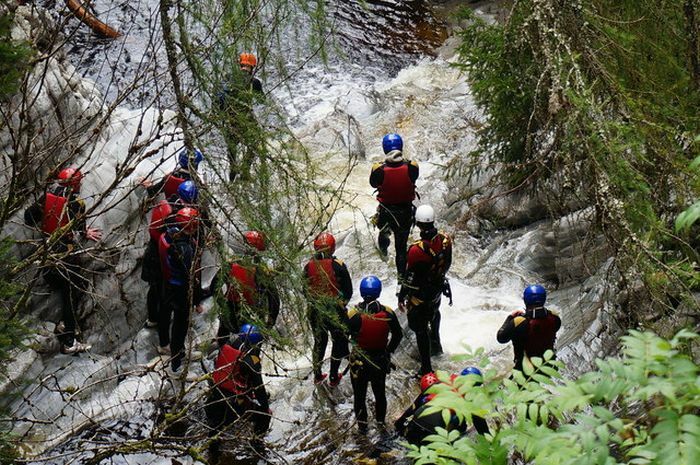 For some of the best canyoning the UK has to offer, head to the stunning Falls of Bruar in northern Perthshire. This is a great activity for those seeking a sporty adventure activity in beautiful natural surroundings. The Snowdon Horseshoe is one of the UK’s finest ridge walks and the most spectacular way to summit Wales’ highest mountain. 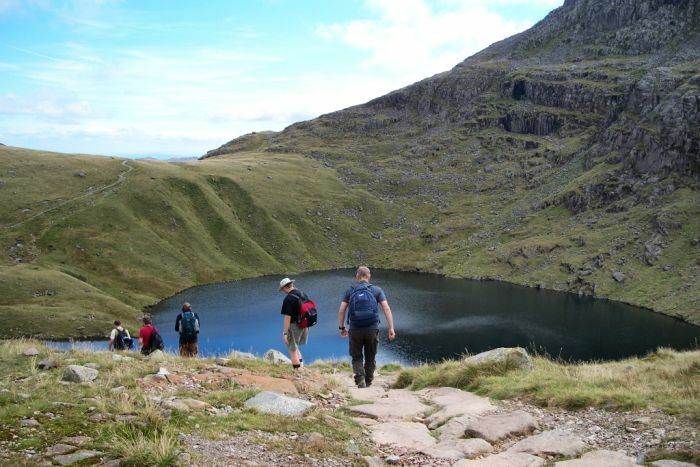 Just a day-long walk, it starts at Pen y Pass and covers just over seven miles and roughly 963m of ascent. Sometimes hiking, cycling or kayaking doesn’t quite quench your first for adventure, and when this is the case you should turn your attention to zip-lining. Luckily, in North Wales you can find the fastest line in the world and the longest in Europe where you can reach speeds well in excess of 100mph. Find out more here. The North Devon coastline has some of the finest scenery the UK has to offer and boasts high rocky cliffs, moorland, wooded valleys and beautiful beaches. Located in the stunning Lake District National Park, Scafell Pike is England’s highest mountain. Climbing up can be challenging yet worth it as you’ll be rewarded with breathtaking panoramic views. Kayaking is a spectacular way to experience the rugged yet pristine coastline of North Pembrokeshire. With its stunning marine and bird life the 22-mile coastline is a great destination to explore for the whole family. Mount Keen, in Scotland, is a 939m mountain and the most easterly Munro. 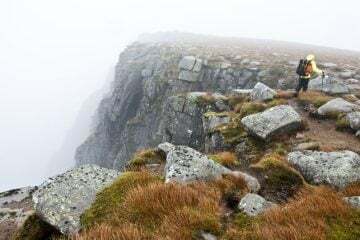 The quickest route is to climb from Glen Esk, or take the more scenic route via Glen Tanar. Its height in comparison to its surroundings make it a great vantage point to view the amazing scenery around it. 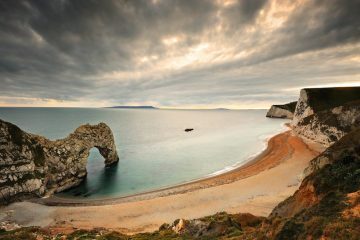 Walking Durdle Door: Is this one of England’s best coastal hikes?